The latest high performance, maintenance free, PVC-U windows wIll keep you warmer in winter and cooler in summer, making your home feel comfortable all year round. With sky rocketing energy prices, they’ll cut your fuel bills and carbon footprint too. All Solitaire Windows windows are Energy “A” Rated as standard, the highest official energy rating in the UK, as endorsed by the British Fenestration Ratings Council. Solitaire Windows double glazed units are manufactured in the UK using the world leading Pilkington “K” high performance, energy efficient glass. Solitaire Windows foiled windows come in a range of colours incorporating our standard and special order colours. 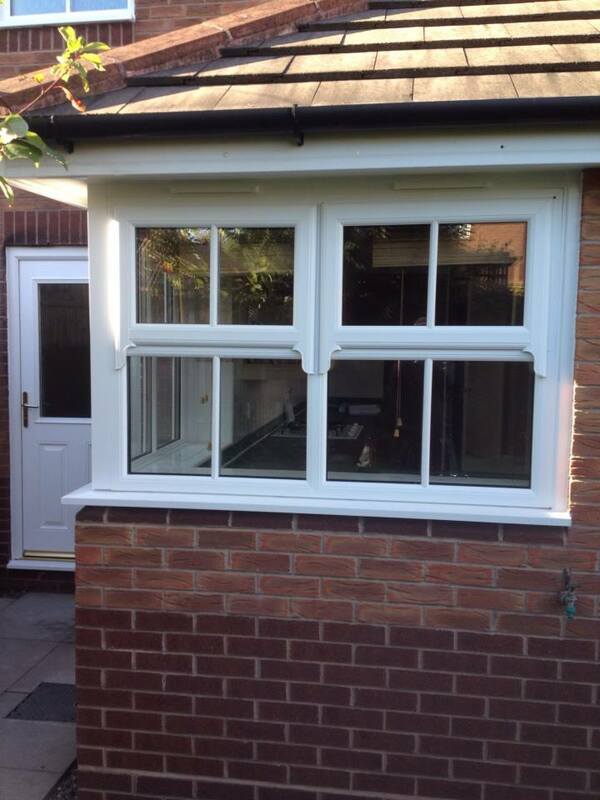 UPVC windows do not only come in white! You can choose from our foiled range of woodgrain effect windows or have your windows in any colour (RAL) you like. The results of testing carried out in April last year, in line with the principles of the British Standard 7950 ‘Windows of Enhanced Security’ Certification, proved that the standard Solitaire Windows window met with the minimum test requirements of withstanding a 3kN perpendicular load and a 1kN parallel load. The window went on to withstand a load of 6kN perpendicular to the casement and in the direction of opening with a downward pull of 1kN – double the test standard. This testing confirms that a Solitaire Windows window is the most secure window on the market today. Finally our Kitemark License in respect of BS 7412:2007/PAS 24:2012 (Enhanced security performance requirements for window assemblies) was re-issued on 23rd April 2013. As standard Secured by Design approved suited window handles are fitted, cycle tested to 50,000 cycles, and tested to corrosion resistance BSEN1670 Grade 5 (480 hours). Secured by Design is the official Police preferred security standard and it is the most stringent security specification and testing process for windows and doors in the UK. It indicates that certified products comply with the very highest standards in security. Solitaire Windows carry this certification for our entire range of manufactured window and doors. Legislation is in place that states that from October 2010, windows installed into existing dwellings need to comply with Approved Document Part L of the Building Regulations. In order to comply the installed products need to achieve a Window Energy Rating Band of C or above and/or achieve an overall U value of 1.6 W/m2k. The Window Installation Company must be able to demonstrate compliance by having its own Window Energy Rating Certification. Our standard double glazed casement window achieves a whole window U Value (Uw) of 1.4 W/m2.K, with a centre pane value of 1.2 W/m2. Our triple glazed casement window achieves a whole window U Value (Uw) of 1.1 W/m2.K, with a centre pane value of 0.76 W/m2. Solitaire Windows work in partnership with Pilkington UK, and as so only use the market leader in sealed unit supply (glazing). Toughened, anti-sharding glass is fitted where required (such as Bathrooms and Doors), in accordance with BSEN12150. Solitaire Windows offer you a huge variety of glass options for your double glazed windows and doors.Keep your home warm, quiet and energy efficient, Solitaire Windows offer you official Energy Rated Window glass as standard, as is toughened safety glass on all Solitaire Windows doors and full-height windows. All this is at no extra charge too. You can choose from clear glass or obscure glass, even glass that cleans itself, and to add an inspiring and individual touch to your windows, Solitaire Windows offer a range of decorative glass such as leaded lights, coloured leaded lights and beveled glass. The choice is yours. 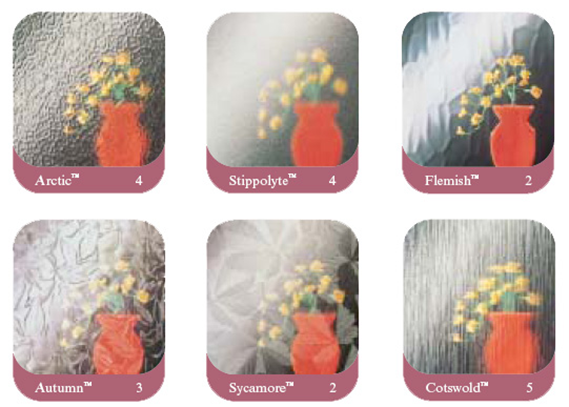 Our clear glass is ideal for windows, doors and conservatories in your home. Obscure glass is ideal for rooms like bathrooms and doors where you require privacy. We have many designs to choose from with different types of privacy available. Amazing glass that cleans itself, seeing is believing. Cut down on window cleaning bills. Leaded lights, coloured leaded lights and bevelled glass. The choice is yours.